Cut a piece of black construction paper in half the long way. Set one of the halves aside for later and then cut the other piece in half again. Now you have a quarter of a piece of construction paper. Cut a piece of wax paper in the same size. Fold a 1″ flap over on one end of the construction paper. 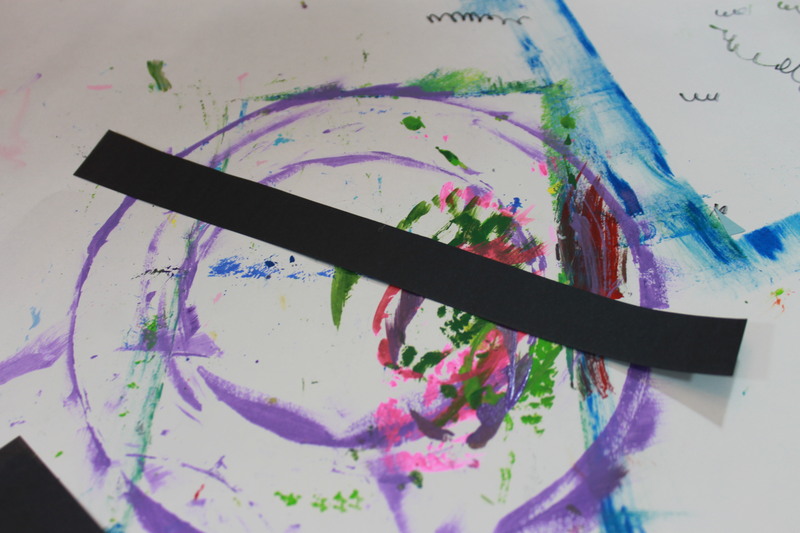 Cut a 1″ lengthwise strip from the piece of paper that was set aside. You will use this later as a road in your backdrop. 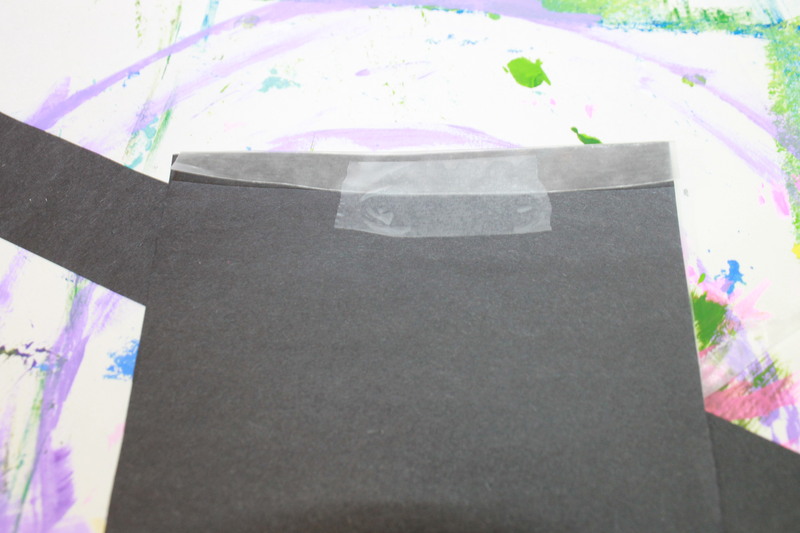 Fold a small flap of the wax paper to the back of your piece of construction paper and tape it in place. Tuck the other end behind the 1″ flap and glue them together so that the wax paper lays flat when the flap is flat. This will form a sleeve. Cut a piece of paper lengthwise. It should be able to fit into the sleeve and slide freely. If you are using paint to make your backdrop, I recommend using the watercolor paper, otherwise just plain white paper should be fine. Next paint, draw or color your landscape. You can make a cityscape, a neighborhood with houses, mountain ranges, or whatever fun scenery you want to see along your drive. 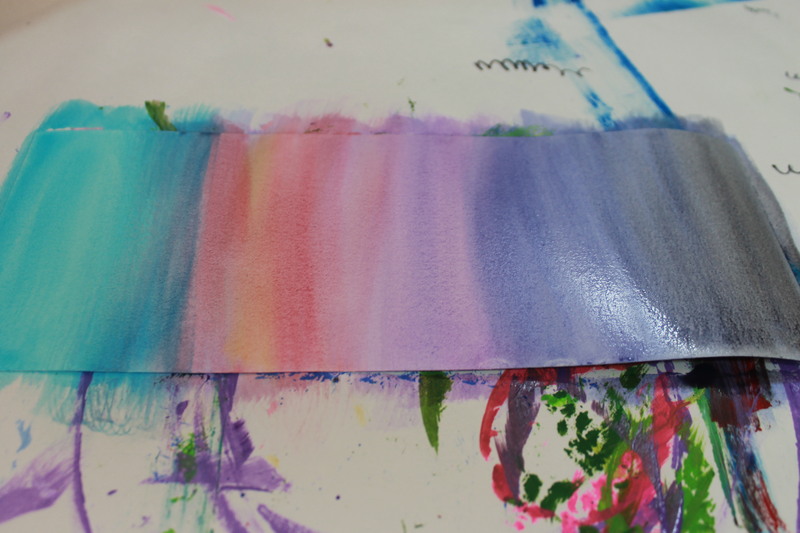 We used watercolors here and made a changing sky. Paint lines on your road if you like. If you do, also paint lines onto your 1″ strip of construction paper. Sketch and cut out a simple car design. Glue it onto the road on your sleeve. Glue the 1″ strip of road to the bottom of your background. 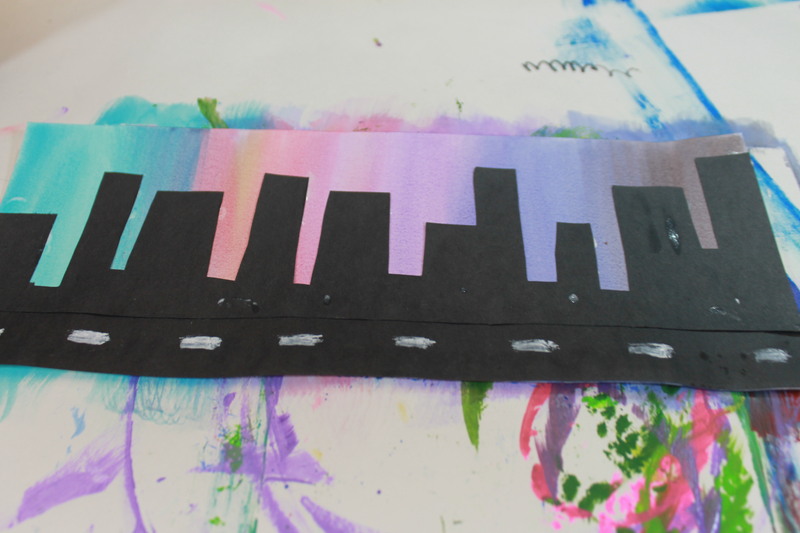 For this one, I cut a cityscape out of black construction paper and glued it over our dry painted background. I used yellow paint to make window lights. Once your background is complete, slide it into your sleeve. Drag your sleeve from left to right slowly and watch your car driving through its landscape. Make several different scenes and drive your car through them all. Have fun with it and enjoy! !